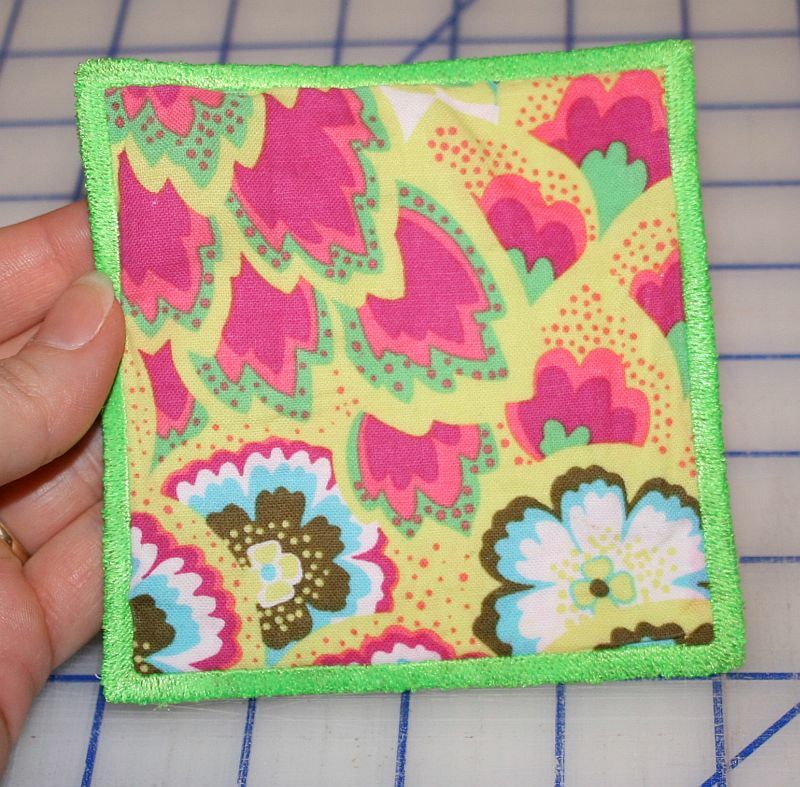 In-the-Hoop Project: Square Coasters – Free Design from StitchinJenny! I’ve been kind of quiet for a few days because I’ve been busy behind the scenes with creating and testing a new embroidery design that I am giving away…. Read on to see more pictures, how to make these, and to access the link for your free download…. I recently posted a blog tutorial for a Round In-the-Hoop Coaster. 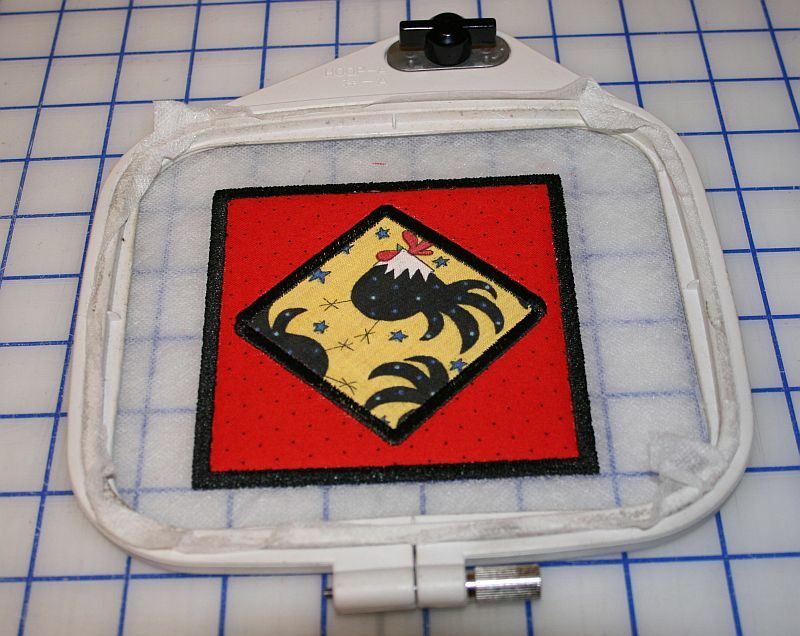 Since then, a member of my StitchinJenny Yahoo Group has inquired about a Square 4×4 In-the-Hoop Coaster. Now, she was just seeking a plain square coaster as seen in the photo to the left. I was able to digitize and create this one in short order and I’m pretty happy with the results. If you know me, you know that once I get started on something creative, it’s hard for me to stop. So, I decided to make a few more options for this project. Here is option #2: A lovely coaster that is nice as is or would look great with a monogram in the middle. There are so many fonts to choose from that I’m not including letters a-z this time, but I do provide instructions later in this post so you can know at which step to import your own monogram into this design. 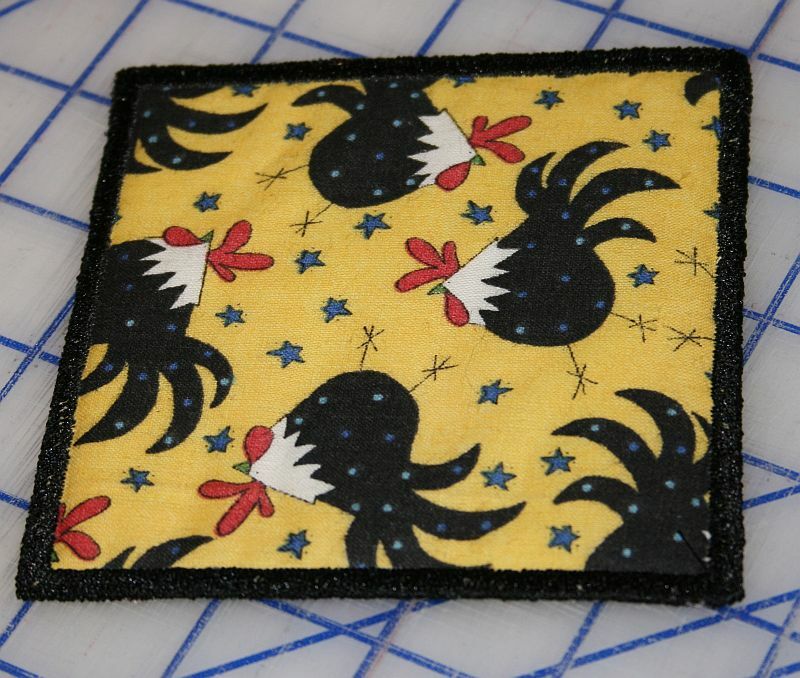 Next is option #3: If you follow this blog, you may recognize this fun fabric from my Pot Holder Tutorial. Anyway, option 3 happens to be my personal favorite of the square coasters. You can use this design to add a diamond applique to middle of your coaster or, you can leave out the applique fabric and just have the nice geometric shape as an accent stitch. Now, I get to show you the steps to make yours! If you are in a hurry and want to skip to the designs download link, just click the link to join my StitchinJenny yahoo group. Joining is free and once you are a member, you can access and download these free designs! If you do not see your machine’s format in the designs folder, please email me your machine’s make and model and I will upload the coaster designs in your needed format. Step 1: Peel away the protective paper and hoop your self-adhesive stabilizer so that it’s tight like a tambourine and the sticky side is face up in the hoop. Step 4: Remove the hoop from the machine, but do not un-hoop your fabrics. 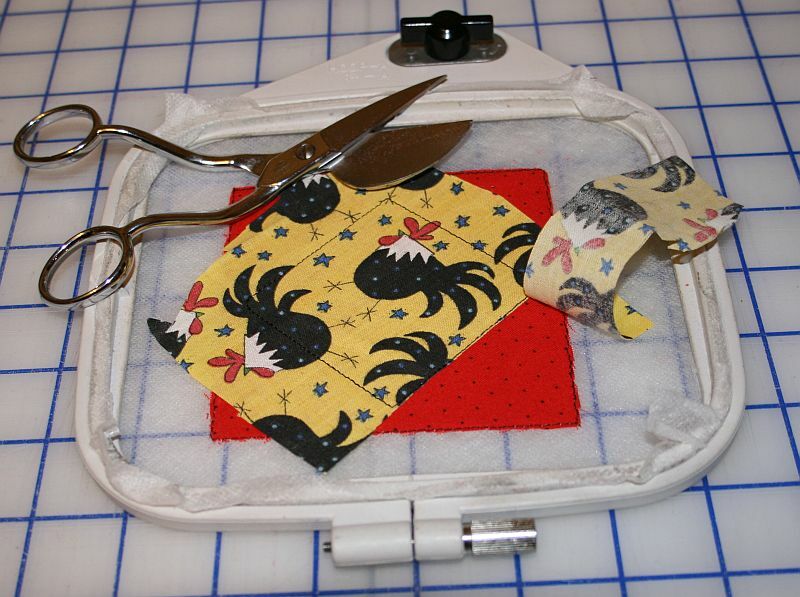 Using applique scissors or your preferred scissors, trim away the excess fabric, cutting close to the tack down stitches. Step 6: Turn your hoop over so that you are looking at the back of the hoop. Lay the sticky side of your spritzed batting on the back of your hoop. Step 7: Place your hoop onto your embroidery machine. Stitch color #3. This stitch will tack your batting in place. Step 8: Remove your hoop from the machine. 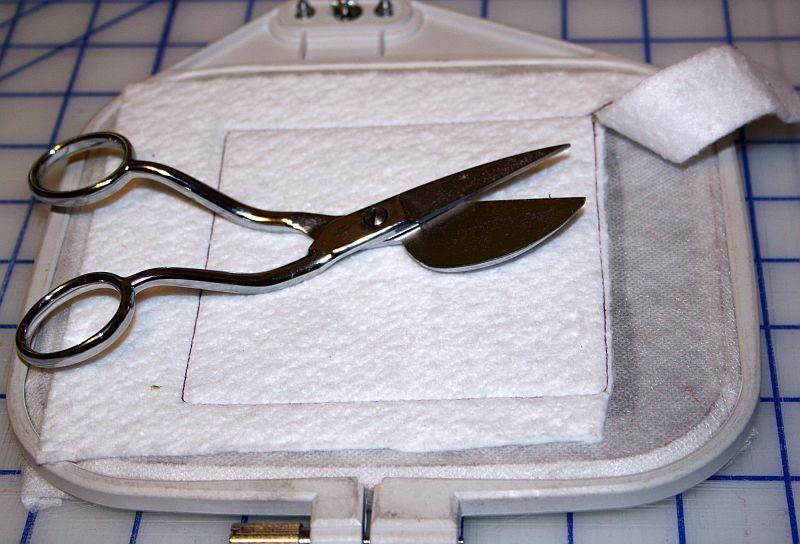 Using applique scissors or your preferred scissors, trim away the excess batting, cutting close to the tack down stitches. Step 9: Place the hoop onto your machine. Stitch color #4. This is the decorative stitch. After this stitch is sewn, you could also import a monogram and stitch your preferred letter before moving on to the next step. Step 10: Spritz the wrong side of your coaster backing fabric with temporary spray adhesive. Step 11: Remove the hoop from the machine and turn it over so you are looking at the back of the hoop. 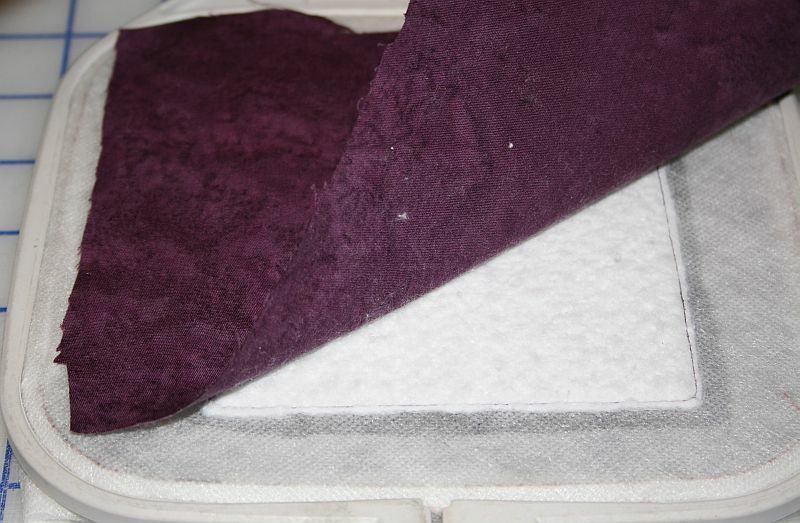 Lay the sticky side of your spritzed backing fabric on the back of your hoop. Step 12: Place your hoop onto your embroidery machine. Stitch color #5. This stitch will tack your coaster’s backing fabric in place. Step 13: Remove your hoop from the machine. 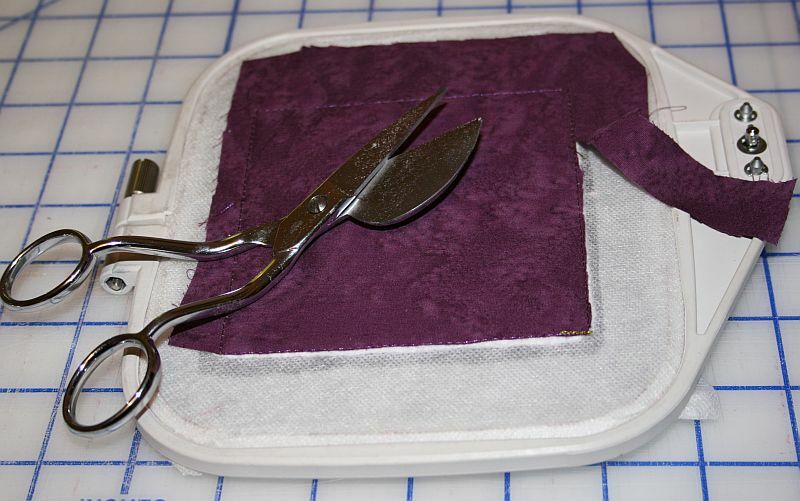 Using applique scissors or your preferred scissors, trim away the excess backing fabric, cutting close to the tack down stitches. Step 14: Place the hoop on your machine. Stitch color #6. This stitch is the border of your coaster. 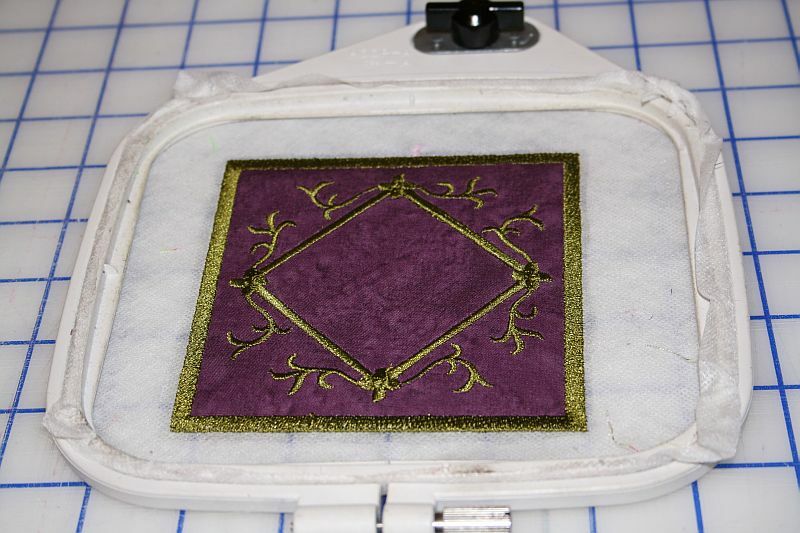 Once you’ve stitched your coaster’s border, you can remove the hoop from the machine and you can un-hoop your project. Step 15: If you used wash away stabilizer, trim away the excess stabilizer and lightly rinse the edges with warm water to dissolve any leftover stabilizer. -or- If you used the tear away stabilizer, just tear away the excess stabilizer and you are done. See supplies list at the beginning of the option 2 tutorial. Follow steps 1 through 8 from the option 2 tutorial above. Step 9: Place the hoop onto your machine. 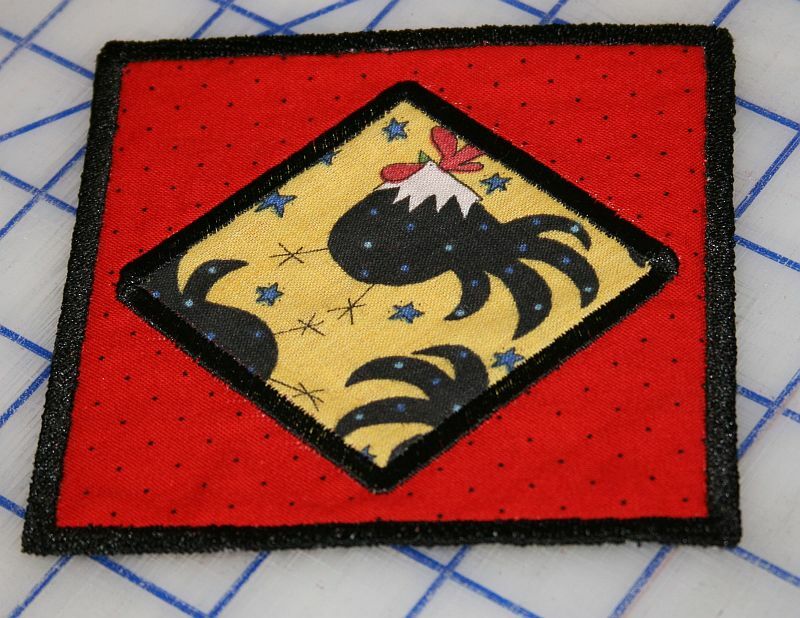 Stitch color #4 of the applique coaster design. This is the outline stitch for the diamond applique. 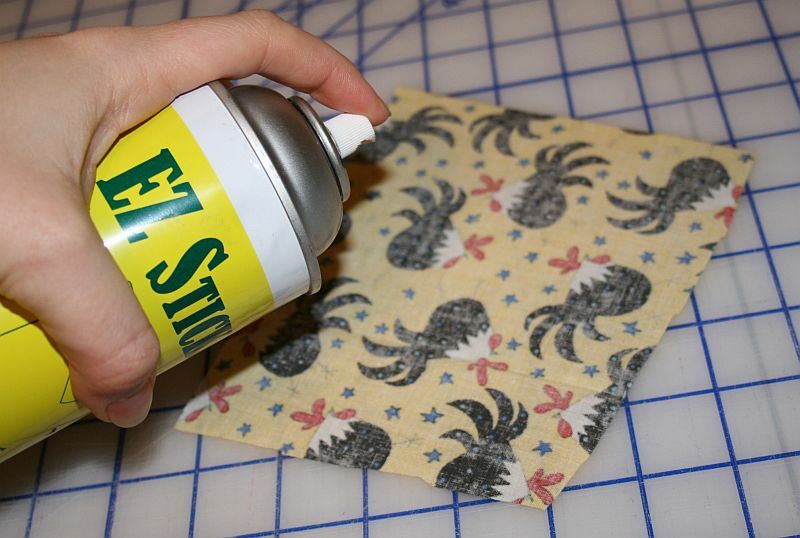 Step 10: Spritz the wrong side of your coaster applique fabric with temporary spray adhesive. 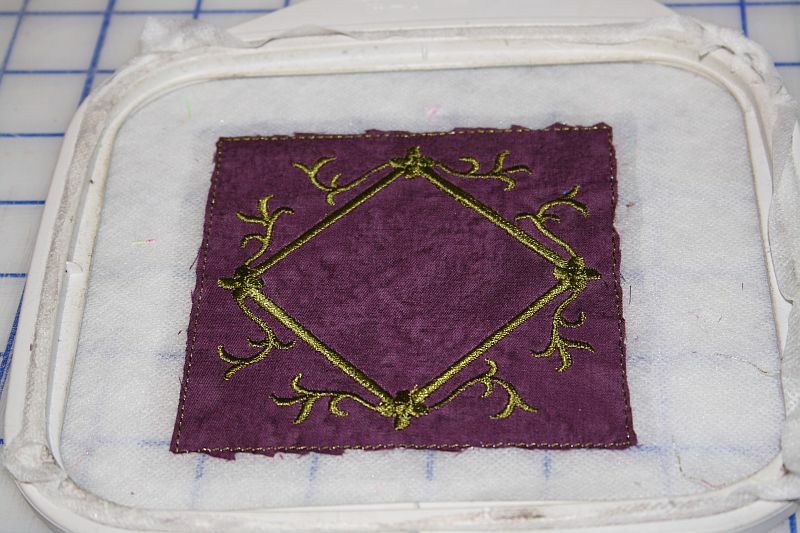 Step 11: Lay the sticky side of your spritzed applique fabric on the diamond outline stitch. Smooth the fabric to remove any wrinkles. Step 12: Place the hoop on the machine. Stitch color #5. 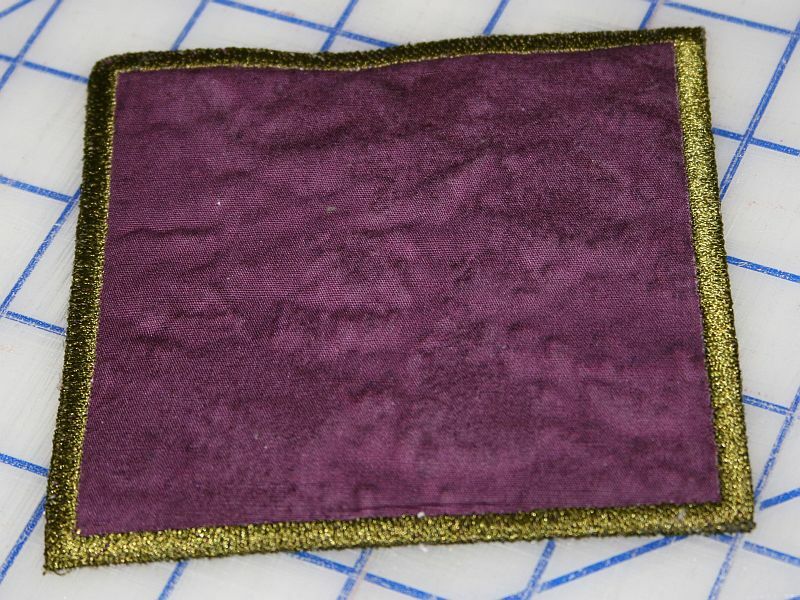 This stitch tacks down your applique fabric. Step 13: Remove the hoop from the machine. Using applique scissors or your preferred scissors, trim away the excess applique fabric, cutting close to the tack down stitches. Step 14: Place the hoop on the machine. Stitch color #6. 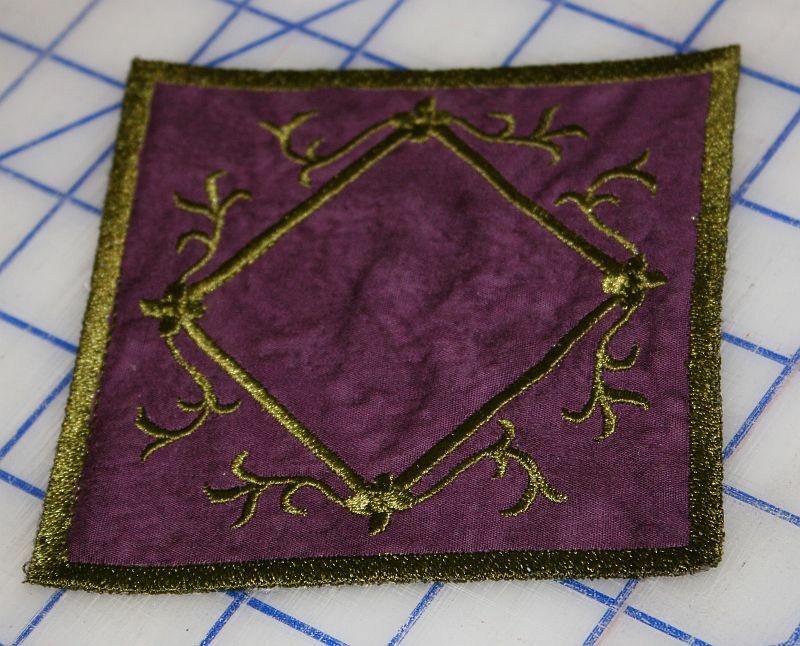 This is the satin stitch border around your applique. 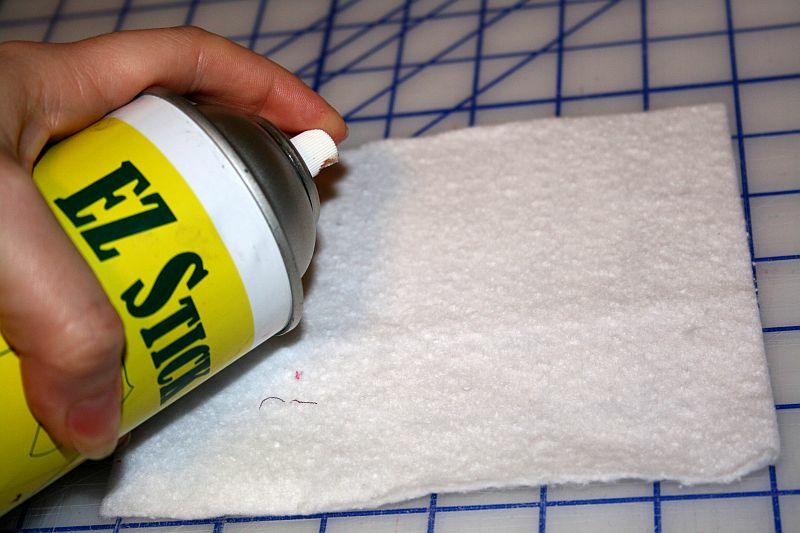 Step 15: Spritz the wrong side of your coaster backing fabric with temporary spray adhesive. Step 16: Remove the hoop from the machine and turn it over so you are looking at the back of the hoop. Lay the sticky side of your spritzed backing fabric on the back of your hoop. Step 17: Place your hoop onto your embroidery machine. Stitch color #7. This stitch will tack your coaster’s backing fabric in place. Step 18: Remove your hoop from the machine. 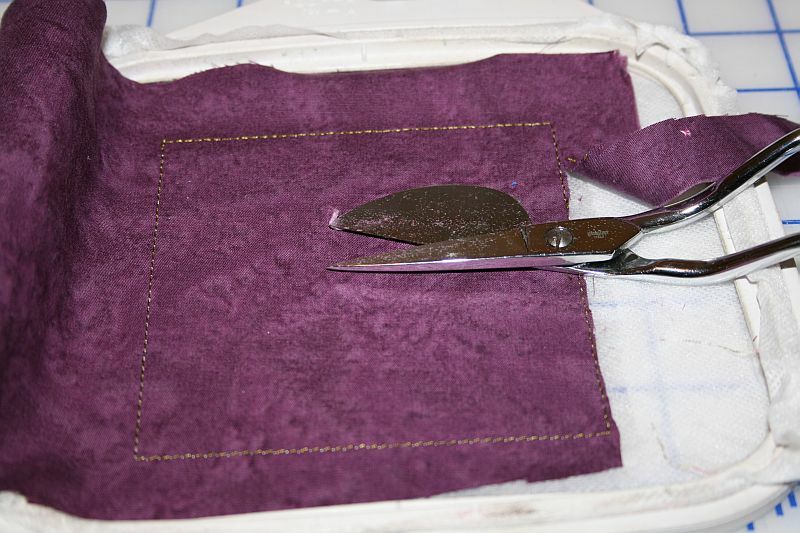 Using applique scissors or your preferred scissors, trim away the excess backing fabric, cutting close to the tack down stitches. Step 19: Place the hoop on your machine. Stitch color #8. This stitch is the border of your coaster. 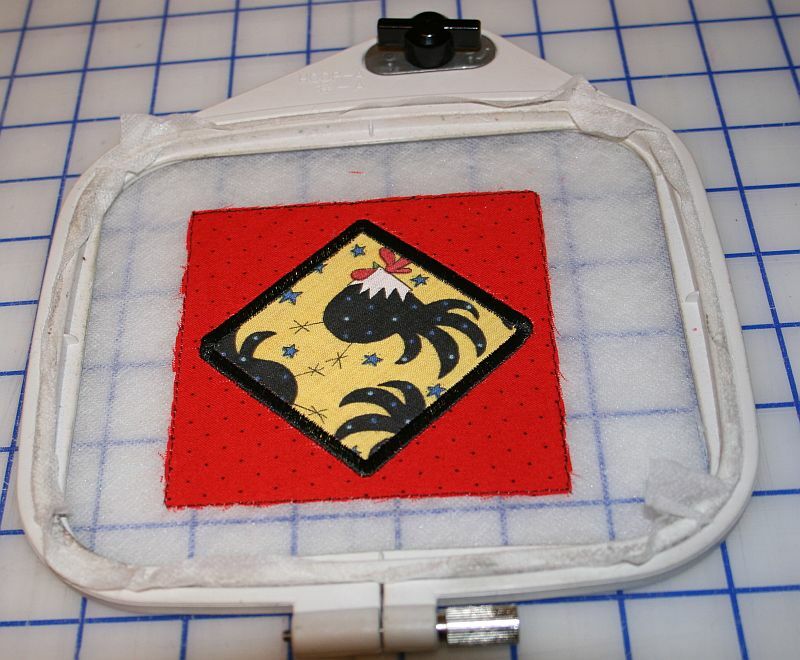 Once you’ve stitched your coaster’s border, you can remove the hoop from the machine and you can un-hoop your project. Step 20: If you used wash away stabilizer, trim away the excess stabilizer and lightly rinse the edges with warm water to dissolve any leftover stabilizer. -or- If you used the tear away stabilizer, just tear away the excess stabilizer and you are done. Thanks for reading! If you would like to download these free embroidery designs, just click the link to join my StitchinJenny yahoo group. My group is a place where members can download my free designs, share their creations, and network with other crafty people. This entry was posted in Home Decor, Machine Embroidery FYI, Project Tutorials, Tips/Techniques FYI and tagged free machine embroidery designs, in the hoop projects on January 26, 2012 by Jenny Gabriel. I really wanted to download your design but since I don’t have texting on my phone, I am unable to join your yahoo group. Is there any other way to get the design? Can you tell me how to import a monogram into the middle of a design for Option 2? I have a Brother PE770 machine, and I use Embird software. Thanks for the SNS . I think this could be used as a quilt block also, maybe as quilt as you go. Nice.